Channel 5 – Big Brother – POWER TRIP! Channel 5 required a new and exciting promo for their hugely successful Big Brother television programme. This is the second promo we have created for Channel 5 and this year’s theme was ‘POWER TRIP!’. 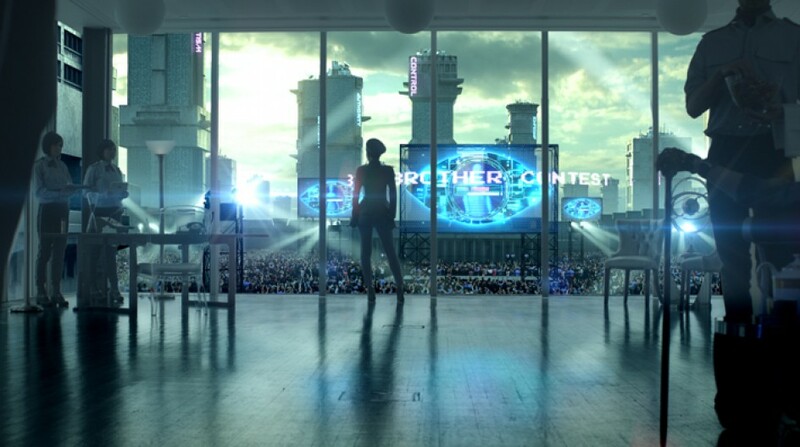 We were tasked with creating a full CGI world that existed beyond the ‘real’, live-action Big Brother house. We were on set for VFX supervision at every stage of production and pre-production and we provided pre-visualisations to help the overall development of the shots. We created motion tracked rotoscope shots. We could then replace the backgrounds (‘out of the window’ space) with our motion tracked CGI background. In our CGI world we created everything from sky replacements and futuristic buildings, to full crowd population and light-reactive lens flares. This promo was a great and fun promo to work on and the quality of the final product really shines through. Enjoy! Copyright © 2007 - 2019 imageynation Ltd.